Staff at Willow Gardens care home in Yateley are celebrating after it performed strongly in a nationwide care survey answered by residents about the care they receive. 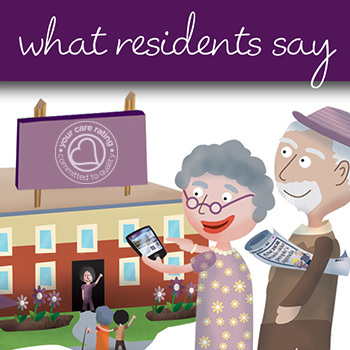 Anchor’s Willow Gardens in Sandhurst Road scored highly in the Your Care Rating survey, securing an overall performance rating score of 898 out of 1,000 by the residents. The score was well above the national averages of 878 for the residents’ survey. Anchor, which runs Willow Gardens, also scored above the national average in this survey. Now in its fifth year, the Your Care Rating survey is the country’s largest and most authoritative survey of care home residents and now of their families and friends as well. The nationwide survey gives residents a voice, putting their care at the heart of understanding more about how well care homes perform. More than 16,700 residents in 820 care homes across the UK took part. Each care home was given was given an overall score based on the residents’ feedback across four broad themes; Staff and Care, Home Comforts, Choice and Having a Say, and Quality of Life. Willow Gardens scored highly in the following categories in the surveys: the older people said they were happy living at the home and the care they receive with staff treating them as an individual. Angela Slade, Manager of Willow Gardens, which is also rated Good by regulator the Care Quality Commission, said: “It’s great that our residents value the care they receive here. All of this year’s results for every care home surveyed are displayed on the Your Care Rating website www.yourcarerating.org. Anyone wanting to find out more information about Willow Gardens, can phone 0800 731 2020.